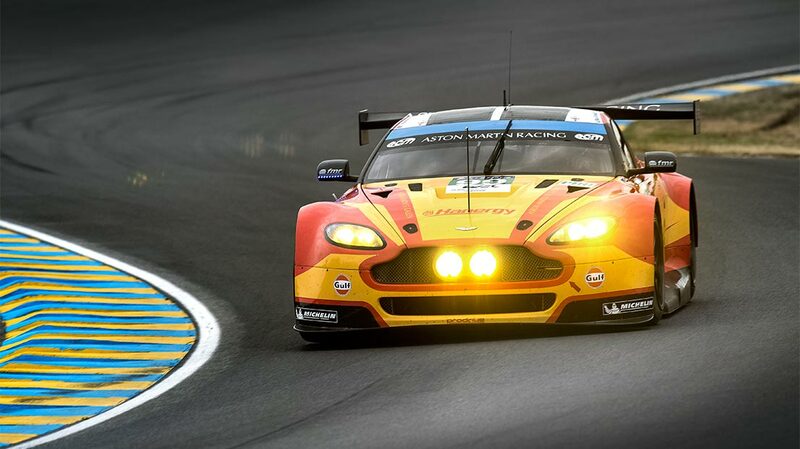 Le Mans, 14 June - At the halfway mark of the 24 Hours of Le Mans, Aston Martin Racing is leading both GTE classes. While the #99 Hanergy-liveried Vantage GTE is locked in an exhilarating wheel-to-wheel battle with the #64 Corvette at the front of the GTE PRO class, the #98 Gulf-liveried car leads the GTE AM class with a comfortable one-minute gap. The #95 Vantage GTE is sixth in GTE PRO, after spending some time in the pits early on, and #96 Vantage GTE lost time due to an incident and is 12th in GTE AM. Disappointment came for the #97 Vantage GTE when an engine issue caused by damage forced retirement for the team that was running in second place in GTE PRO. Keep up with the race on Twitter using @amr_official and #teamAMR.